There is no force more powerful than a robust cohesive team. This holds true for every company and especially for the one, committed to hitting new marks in artificial intelligence (AI) technologies. With intent to reinforce its in-house team capabilities and deliver a true conversational interactive voice response (IVR) experience, a leader in Natural Language Understanding (NLU) solutions contracted Agiliway a few years ago. Ever since two companies in unison have been successfully implementing the next-generation technology. By combining the latest advances in AI, NLU technology enables a machine to understand and interpret natural language. It’s a core technology behind a conversational IVR solution and AI-powered virtual assistant solutions that carry far-reaching implications for customer care. As long as the virtual assistant comprehends a speaker’s intent, recognizes a wide variety of responses and the context of the conversation, it will handle a human agent interaction. A wonder it is, consumers get to receive same answers that live agents would have given. Yet any flaw or shortcoming in IVR-directed dialogs negatively affects the customer experience and customer service process. While competitors are still gaining ground in the area of AI technologies, our client is already a step ahead, allowing enterprises to benefit from a stack of developed technologies. Its NLU engine, an intelligent Dialog Management platform, on-premise ASR engine, etc. deliver fast and correct call routing, ensure semantically accurate Open-Question customer care through the IVR across all channels. With over 20 call center deployments in 11 countries, the company is now serving more than a billion customer interactions in 10 languages across customer service departments in financial institutions and telecom companies. Worldwide geography, wide customer base, specifics of each industry, an eye on an omnichannel self-service solution call for a strong cohesive team to meet an ever-increasing market demand. The client’s success in the customer care market falls back on high-level technology stack, custom trained NLU engine, more than 90% accuracy in speech recognition and successful implementation of multiple projects across industries and countries. Partnering with Agiliway helps the company to respond to the market demand in a timely manner and keep competitors at bay. With a team of professional NLU engineers on board, the solutions are implemented faster and efficiently. customization of conversational chatbots and virtual assistants, what includes the entire process from NLU to the natural language generation (NLG). 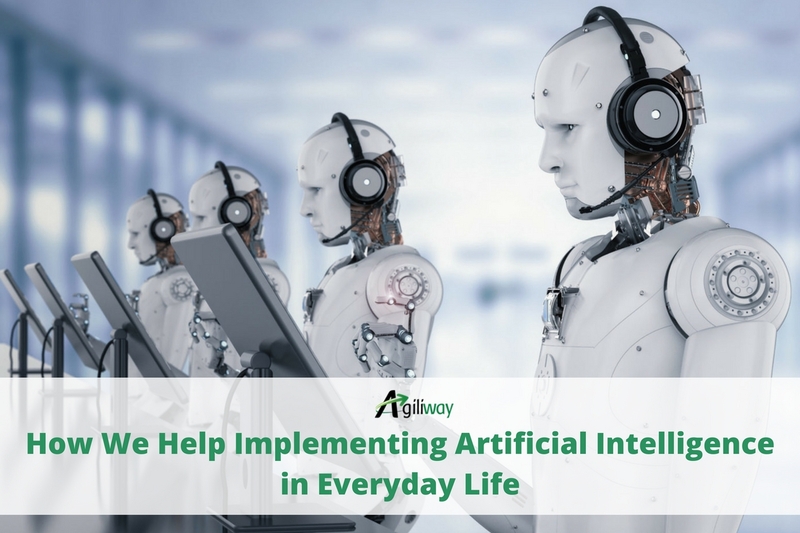 In the excitement of augmenting the customer service process, Agiliway uses its decades of experience with proven expertise in software development to help companies power fast-growing bot technologies for multi-modal AI systems. Not only do we build the NLU modules, train NLU engine or experiment with speech recognition algorithms to deliver positive conversational user experience for contact centers but also keep developing expertise in other AI technologies, e.g. Deep Learning Platforms. Most recently our team has come into contact with the French company that leads image recognition solutions for retail and could use some help to improve its AI engine performance. Built to recognize all the client’s products on supermarket shelves by analyzing the images and providing required analytics, AI engine needed further manual training. This recent challenge taken up to improve the detection quality and performance of AI image recognition engine for the French company gave us further insights into AI image recognition technology. Fleeting glimpses at these two projects already shine a spotlight on business benefits our clients receive upon AI adoption. 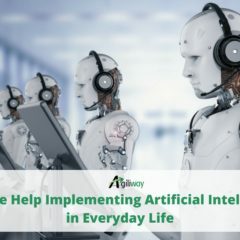 As long as AI technologies form a strong foundation for business processes automation and align well with our clients’ expectations, we at Agiliway keep learning and working to deliver AI solutions and services that solve real-life business challenges.